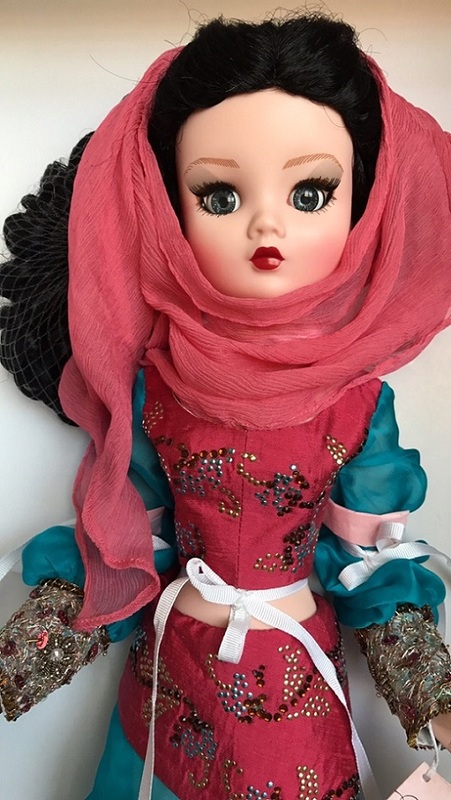 "I Dream of Cissy" is a 21" articulated blue-eyed Cissy with thick, wavy raven tresses. 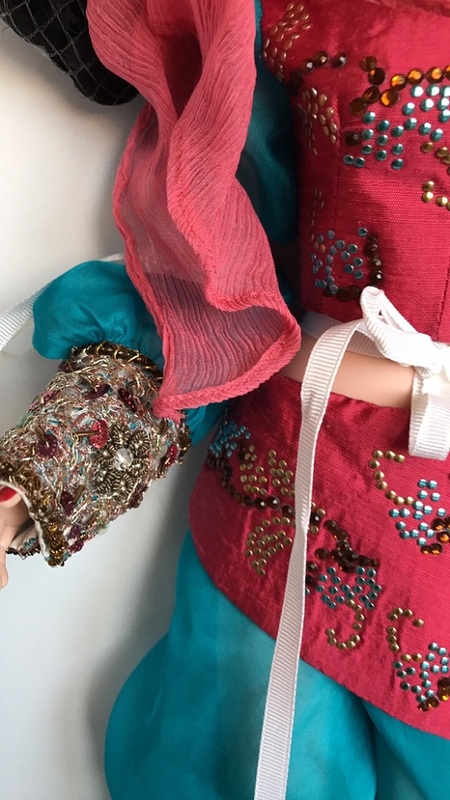 Her exotic costume features flowing aqua chiffon harem pants and a lined fuchsia, midriff baring top with aqua chiffon sleeves. Both the pants and the top are cuffed with brocade that are encrusted with sequins, faux jewels and metallic gold embroidery. Her sheer chiffon harem pants have an attached belly drape embellished with the same decorative metal studs as her top. 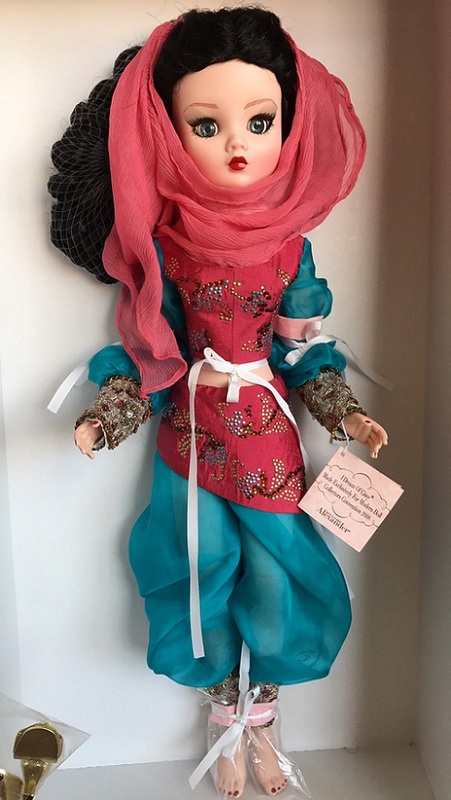 She's wearing a fuchsia chiffon scarf meant to cover her lower face but hey... (will hang better when she's not tied down) and comes with gold heeled sandals with jeweled tops. The 10" Cissette and 12" Lissy versions are also available. Never displayed.